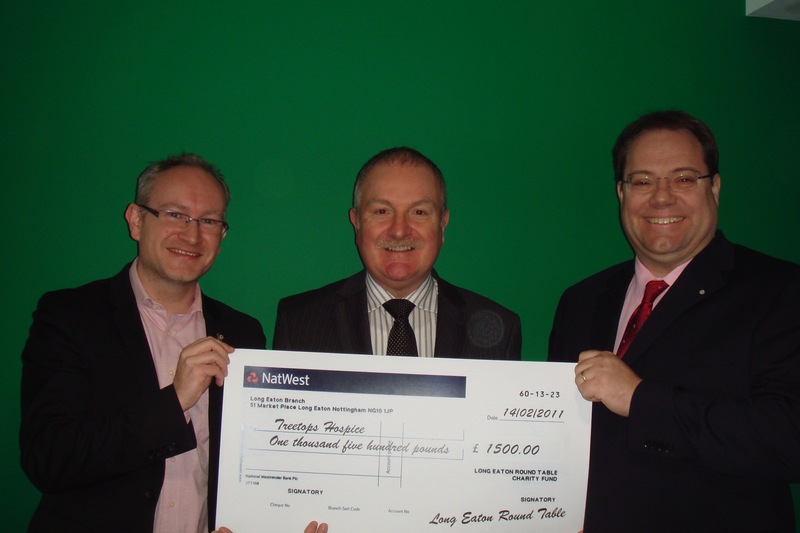 Long Eaton Round Table has presented the proceeds of our fireworks evening to Treetops Hospice. We have been holding our annual bonfire/fireworks party at Treetops Hospice in Risley since 2004. Since then, this event has raised around £10,000 for Treetops Hospice. Long Eaton Round Table chairman Robert Westerman handed over the cheque for £1,500 to Treetops Hospice chief executive George Cameron on Tuesday 15 February. The donation comes as Treetops Hospice records January as having the highest number of new referrals ever taken in one month.